Applied AI Is Neither Weak Nor Narrow: Time To Change Nomenclature? Applied AI Is Neither Weak Nor Narrow: Isn’t It Time To Change The AI Nomenclature? Artificial General Intelligence (AGI) is the Holy Grail of AI research. Futurists keep speculating about singularity, movies and science fictions are inundated with stories around super-intelligent machines and companies like DeepMind have set an aspirational goal to “solve intelligence”. In this grand quest of creating machines that can “perform the full range of human cognitive abilities”, there are two risks. First, collectively we may be setting ourselves up to an expectation that is based more on belief than on actual state of research. Nobel laureate economist and Turing award winner, Herbert A. Simon, once declared in 1965 – “machines will be capable, within twenty years, of doing any work a man can do”. With no unified definition of intelligence or agreement on the types of intelligence so far, we may once again be heading towards a hype around singularity. Second and perhaps more importantly, in our eagerness to get a handle around “strong AI”, which is the other name for AGI, we may be underestimating the power of “weak AI”. Wikipedia says – “Weak artificial intelligence (weak AI), also known as narrow AI, is non-sentient artificial intelligence that is focused on one narrow task.” The nomenclature of “weak AI” or “narrow AI” can be misleading and for all practical purposes, the “non-sentient” nature of “weak AI” need not be viewed as limiting. The power of “applied AI” becomes apparent if we look closely at the disruptions faced by the auto industry. Several automakers and technology companies all over the world are attempting to test their self-driving cars. People are no longer talking about the feasibility of autonomous vehicles but instead trying to understand “who is winning the race to build self-driving cars”. The autonomous vehicle technology is going to disrupt the auto, truck, railways and even airline industries. Boeing has already announced their plan to test pilotless jetliners starting from next year. The core technology or AI algorithms required for autonomous vehicles falls under the category of “applied AI”. This technology would not only change the future of transportation industry but also the way people experience travel. With so much of potential to disrupt established industries and markets, there can be little doubt about the immense power hidden in so called “weak AI”. Not only the auto industry, but AI is disrupting various industries including manufacturing, retail, consumer goods, banking, healthcare, telecom and many more. It is changing the lives of people through advancements in computer vision, speech recognition, language translation, sentiment analysis and a host of technologies that take advantage of big data, seamless access through cloud and high processing powers of hand-held devices. All such interesting applications that we are aware of are examples of “applied AI”. In addition, the more we use machine-learning algorithms, the smarter these algorithms become. Machines can now learn and beat humans even in tasks that are more intuitive than logical. A widely cited example in this context is the instance when AlphaGo – an AI based program developed by Google’s DeepMind, defeated a professional world champion in one of the most complex board games – Go. Almost every job that humans perform can be broken down to specialized tasks that can potentially be performed by applied AI. Venture capitalist and Sun microsystems co-founder Vinod Khosla, in a recent panel discussion hosted by MIT said – “I can’t imagine why a human oncologist would add value, given the amount of data on oncology”. One HBR article has highlighted how machine learning is improving companies’ work processes. While AI is replacing humans in many jobs, it is also creating new job opportunities, as indicated by Alex Knapp in his recent Forbes article. Even in the fields of writing, music and art, AI has started redefining creativity. The scope for “applied AI” is only limited by imagination. 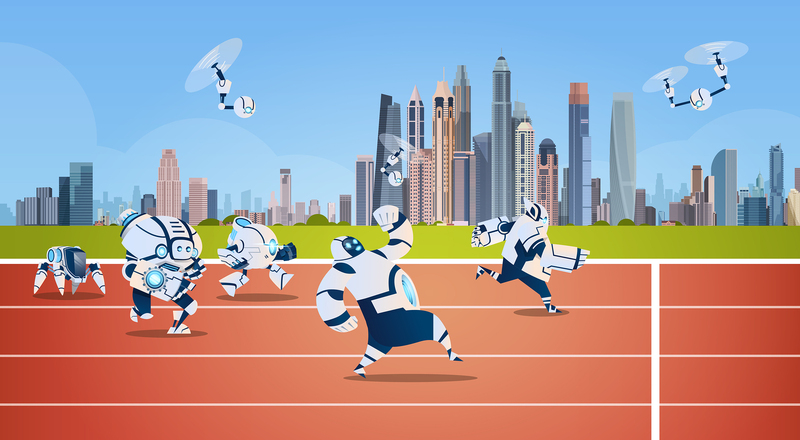 With the proliferation of IoT devices, it would be even easier in the future to get the required data for any activity or job and use the same for machine learning purposes. The nomenclature of “narrow AI” or “weak AI” does not convey how powerful and broad “applied AI” can be. In fact, all breakthroughs we have seen so far in AI fall under the bracket of “applied AI”. Instead of differentiating the two classes of AI as “weak” vs “strong”, we can perhaps call these two branches as “Artificial Special Purpose Intelligence” (ASPI) and “Artificial General Purpose Intelligence” (AGPI) respectively. Pranab is a Senior Manager and part of the leadership development team of Wipro Limited, which is a global information technology, consulting and business process services company. As a learning and development professional, Pranab’s topmost priority is always to help others in developing or adapting to new skills and behaviours. He is passionate about contextualisation of learning using practical experiences. He has been associated with the IT industry for 21 years.